Does Amazon Echo Work with Your Security System? A decade ago, the term “smart home” would have been met with confusion, but today, you’re nearly behind the times if you aren’t integrating automation into your abode. Within the smart home, tech products are used to make our lives easier, keep bills in check, and make our homes safer. One popular product in the field of home automation is Amazon’s Echo. The Echo enables consumers to use Alexa, a voice-controlled virtual assistant with updates maintained throughout the cloud. Now, home security can be linked and voice-controlled via Echo, and its payouts are staggering! To start, you’ll want to settle on an Amazon device that is Alexa-enabled. Besides the Echo, you can choose from additional generations of the Echo, like the Dot, the Tap, or the Show. Each device can be integrated seamlessly with a home security system’s control panel. For sheer convenience, you may wish to purchase the Tap, which is battery-powered and completely portable. Scout was first to market. Its home security commands worked flawlessly with Alexa. 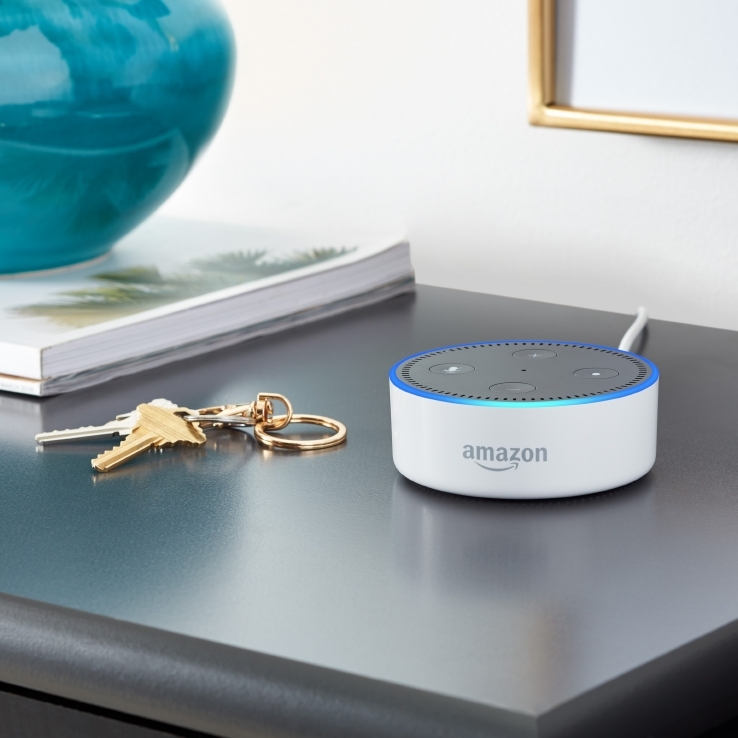 However, since Alexa presented the opportunity to integrate the home security option, many providers including Protect America are now allowing for their products to operate on the platform. Once Alexa learns the skill to operate your Protect America security system, you can use your voice to control the alarms! Once Protect America allows you to enable this skill, you can avoid relying on the panel for control. Say you’re in bed and forgot to arm your system. Just stay lying down and ask Alexa to do it for you! Don’t worry about burglars using Alexa to control your system either. You will be assigned a personal PIN as a way to use voice control to enable and disable the home monitoring system. This way, some burglar can’t just tell Alexa from outside your house to disarm; he or she would need to know the code. What Commands Does Alexa Know? Once Alexa is enabled for your home security system, you’ll command the virtual assistant the skill you want her to perform. The following are a few commands you could try out with Alexa and Protect America, but there are dozens more. And don’t worry; Alexa can still do all of her other pre-programmed tasks as well, like ordering pizza, reading sports scores and weather, setting timers, and playing music. A recent trend in the home security industry is to purchase unmonitored security products such as Wi-Fi cameras. These are often very high-tech products with amazing features, but there is no one on the other end to respond to an emergency. You yourself are solely responsible for monitoring the alerts and responding as you see fit. Keep you and your family safeguarded with round-the-clock home monitoring. That’s where Protect America comes in! We have teamed up with Kiwanis to offer members a special $39.99 monthly rate which includes free shipping ($19.95 savings)! The exclusive offer from Protect America includes the following free equipment and features, a value of $1400! Even with Protect America’s special Kiwanis offer, you may be interested in a free quote that is better tailored to your home’s needs. We offer three primary packages with varying levels of sophistication and equipment — all of which, of course, is Alexa friendly!